S.K. Mayhew, Kid Lit Writer : OPEN MINDS...Do you have one? OPEN MINDS...Do you have one? I was lucky enough to score a signed copy of Susan Kaye Quinn's newest book on her blog last week! I'm so excited about this book. I don't get up early to do anything and I've been getting up early to read it before I start my day. Yep, it's that good! I'm going to give away a copy of Susan's book and a book mark to help celebrate the release of Open Minds. All you have to do is follow Susan and me and leave a comment on this post. I'll post the winner on my November 17th post. 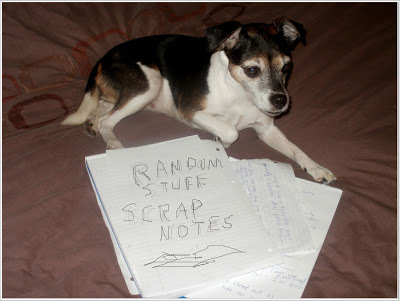 Random.org will chose the winner. Susan is an amazing person! She has engineering degrees (B.S. Aerospace Engineering, M.S. Mechanical Engineering, Ph.D. in Environmental Engineering) and has worked everywhere from NASA to NCAR (National Center for Atmospheric Research) to a little Venice Beach restaurant called The Green Bean (I was the bookkeeper). I've designed aircraft engines, studied global warming, and held elected office (as a school board member). Now she writes novels and has the coolest business card that say "Rocket Scientist and Author." 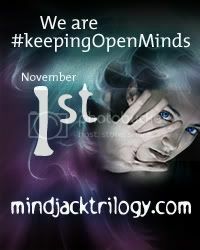 Open Minds (Book One of the Mindjack Trilogy) by Susan Kaye Quinn is available in e-book (Amazon US (also UK,France and Germany), Barnes & Noble, Smashwords) and print (Amazon, Createspace, also autographed copiesavailable from the author). Me: I'd like to thank you for dropping in for a little chat. Me: A few months ago you self published a book for your son, Adam. Was that a practice run for Open Minds? SKQ: I didn’t intend it that way. At the time, I was querying Open Minds and getting lots of interest from agents. I figured I had a good chance of getting representation and still intended to pursue that route. At the same time, my son had spent the whole school year working on his novel (and editing after I critiqued it). When he was done, I promised we would print up copies for his teacher and friends. Being well aware of the rise of self-publishing, I figured e-books would be a great way to give copies to his friends without going broke at the copy shop. Turns out that printing a POD book costs LESS than getting a manuscript printed at the copy shop. I was stunned! So, I dove in, figured out how to format it for print, and we made a cute book for him. I’m very proud of him (and he’s proud of the final product, which is even better!). ME: Can you tell us a little about the process of self publishing Open Minds? SKQ: Over the summer, my thinking shifted about traditionally publishing Open Minds. Editor (and thus agent) interest was waning in paranormal, even though people were still buying it like crazy. Self-publishing was becoming more and more respectable. Authors I respected were pursuing both traditional and self-publishing at the same time. Having published through a small press, I did a careful weighing of the costs (professional cover and editing) vs. the potential payoff. If I was going to self-publish, I wanted a product that could proudly sit on the same virtual shelf with traditionally published books. I decided I could do that, and pulled Open Minds from the agents that still had it, so I could self-publish in time for Christmas. Me: How did you come up with the storyline for Open Minds? Me: I think I heard a rumor that you were going to write a sequel. Is that true? Me: When I sit down to write I have to have a thermos of coffee. Do you have any writing rituals? SKQ: I almost always have tea on hand. It’s not so much a ritual as a continuous drip of caffeine. Because apparently I need it. Me: I have Jolly Rancher (Lenny sends them to me) on my desk. Do you have a writing vice? Me: Finally, any words of advice for aspiring writers? SKQ: Write, write some more, keep writing. Seriously, the most important thing you can do is a large volume of work. The second most important is to continually strive to improve your craft: study bestsellers, swap critiques, read books on writing. Finally, give yourself room to breathe and discover who you are as a writer. Writing is a process of self-discovery as much as it is about storytelling. The two are intertwined. Only you can tell the stories you have! Allow yourself the freedom to be yourself in your writing. Me: Thanks so much for stopping in for a visit and I wish you the best of luck with Open Minds. Susan Kay Quinn: Thanks so much for having me! The support of my blogosphere friends during the launch of Open Minds has just been overwhelmingly awesome. I am so lucky and grateful to be a part of this writing community! Great interview Sharon and Susan. Susan, I love how your book started through the paragraph for Nathan Bransford's blog. And that's great you can share writing with your son. Yay for lovely Susan and her book Open Minds! GOOD LUCK SUSAN!! Love how Susan was inspired by Nathan B's contest - I love prompts that fire up the brain to think creatively! @Natalie Thanks for stopping by (here and all the other stops!). It's been tremendous fun sharing the story of how I got here! Excellent interview. I am hearing lots of good things about this book. And the green apple jolly ranchers are the best! Congrats to Susan for her new release and thanks to Sharon for bringing us the interview! I learned so many things about Susan that I didn't know! Great interview, ladies. And keep going with books two and three!!!! 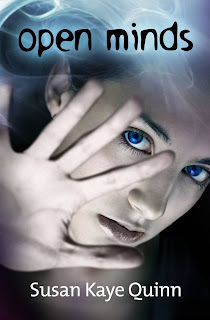 Susan Quinn's book sounds great and reminds me of my friend Beth Muscat's book Remember The Eyes which is also about paranormal things and astral travel etc. Thanks for the head's up! Sharon, great to see Susan on your blog. Susan, I've noticed a trend of people who have published with indie publishers now going the self-publishing route. It will be interesting to see how sales go this holiday season. Big predictions. Great interview. Thanks for posting about this new book. I'll have to add it to my ever-growing Christmas list. Fantastic interview, ladies. I follow Susan's blog, but now I learned even more about her. Yay for the sequel. I'd like to check out book one, of course. hi miss sharon and miss susan! wow! cool interview. that book sounds just real cool. ilike that mind reading stuff. for sure it could get you in lots of problems. i hope i could win. i already been a follower for both of you for a long time. i hope a zillion people read your book! What a fantastic premise (and I love the term 'mindjack'). In your bio at the top, I first read 'NASA and NCAR' as 'NASA and NASCAR'... I guess they both involve aerodynamic stuff, but no wonder I was struggling to make the connection! Super fantastic interview from two fabulous women! Interesting way to come up with the storyline. I've always wondered if I would/could ever self publish. Never say never, huh Sue? I am so looking forward to reading this book. Thanks for all the links and the wonderful interview! Enjoyed the interview, and the book sounds exciting! Thanks for sharing, ladies. I'll pop over to Susan's blog now. The book sounds so awesome!And what a great interview! I hope you have tons of sales Susan! This is one of my favorite books ever! I did a review for the launching and am so glad I got to participate. I'm dying to buy a signed copy, but I need to save up! You're a lucky duck that you got a signed copy! I really enjoyed this interview, too. And thanks for the reminder, I need to add my review on Goodreads. I got interrupted and never got back to it. I'm going to do that right now! Good luck to Susan! And thanks for an awesome interview, Sharon and Susan! Great interview. And wow, Susan, you get candy from Lenny?? How sweet! I hadn't know about your son's book - will go look for it now. Awesome interview, Sharon and Susan!! I am really intrigued by this book and would love to read it!! I like the title, cover, and concept. You made a daring move, Susan, to self-publish and I wish you tons of success. I'd like to be able to read minds, but I don't think I would tell anyone. Already follow you both and I'd LOVE to win the book! :o) Enter me. PLEASE!